Alan was in the art department of a famous publishing company and asked to borrow a pencil. No-one could find one. He eventually found one in the editorial department. These pencils were subsequently collected from all over the place. They are firmly stuck down. 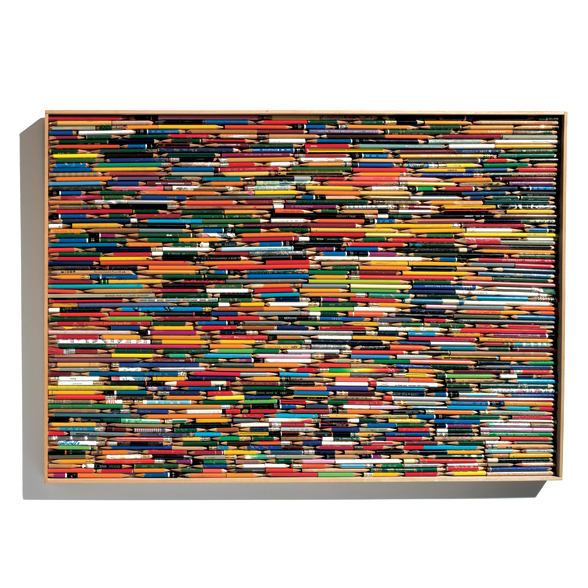 The assemblage has since been the source for illstrating a Domus magazine cover, and printed as a poster for a paper merchant.